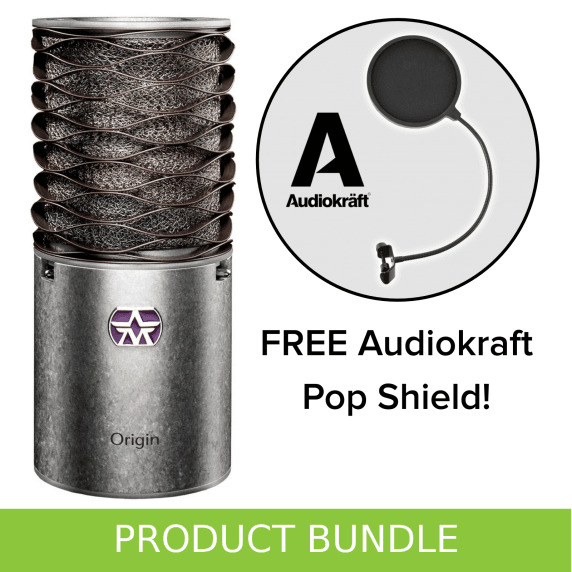 This is an Inta Audio Exclusive including the Aston Origin High-performance Condenser Microphone and a FREE AudioKraft Pop Shield. 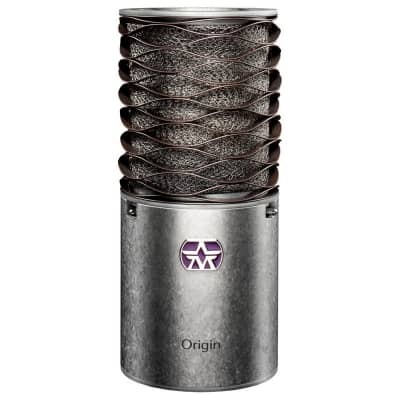 The Aston Origin features a unique UK-made design, unlike any other microphone you have ever seen. The Origin's signature shock-resistant wave-form mesh head not only has a completely unique and stylish appearance but also completely encapsulates the capsule at the heart of the mic, offering unrivalled protection. Heavy impacts that would ordinarily damage or destroy most mics are not an issue with the Origin - the mesh allows the head to be returned to its normal position when distorted, without any damage or loss of functionality. 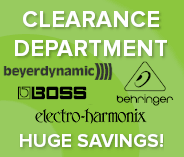 pass while virtually eliminating unwanted plosives and unwanted artefacts from your recordings. The already fantastic mesh also shields against multiple wavelengths of electromagnetic radiation and thanks to its stainless steel construction, it won't rust with use and is even removable and washable. 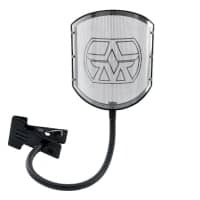 can be mounted directly to any stand without the need for additional adaptors or accessories. 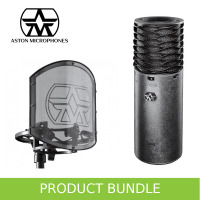 The design also makes Aston microphones extremely easy to repair and maintain. But it isn't all just about function here - not when the form is this good! 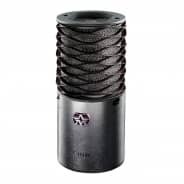 Each microphone chassis comes with a beautiful custom finish which is individually tumbled for up to 4 hours to give it an extremely hard-wearing yet beautiful finish, which is then individually engraved. 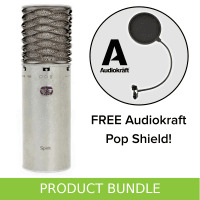 A superb microphone that sounds fantastic and crisp. 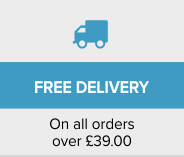 I can highly recommend to any vocalist or acoustic musician. "While subtly flattering, the Origin’s tonality comes across as subjectively natural with good clarity, a sense of weight and a lack of harshness, something that carries over to acoustic guitar recordings. Smooth yet well focused…depth, warmth and detail in equal measure. Novel mechanical design improves shock isolation and gives extra protection against knocks and bumps." "The Origin had a stunning clear quality, with plenty of depth and a smooth, natural high-end. The Aston Origin is a serious contender in the already busy space of inexpensive large-diaphragm condenser microphones. 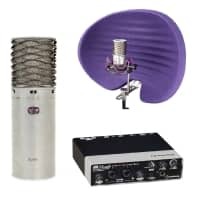 However, it held its own against mics 10-20 times its price. 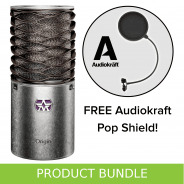 Blind testing with the artist against an AKG C12 VR showed a clear preference for the Origin." Platinum Award...The Origin does it again! 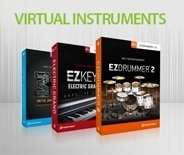 "The Origin possesses a sensitivity that easily renders the detail of harmonically rich instruments. 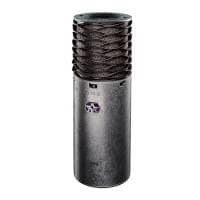 This a quality all-rounder of a mic and competitively priced to boot." "Without making a single adjustment for its incredible value, this mic is still a 5-star mic and can be put up against anything"